Amish are generally unlike some Christian denominations who may refuse certain medical care out of hand due to religious belief. However, religious reasons as well as cultural values may factor into some medical decisions made by Amish. The Amish approach to medicine can also vary by affiliation and community. In An Amish Paradox, Hurst and McConnell detail use of institutional medicine among the various Amish affiliations in the Holmes County, Ohio settlement. Hurst and McConnell report that Amish are generally less likely to undergo annual checkups or engage in preventative care. A reluctance to go to the doctor can result from various factors, including a desire to avoid needless medical costs, a generally higher pain threshold (as reported by doctors treating the Amish) and a failure to understand the importance of, or reasons for professional treatment. The authors also note that more conservative Amish are less likely to seek medical care, and more likely to delay treatment, especially when physical symptoms are absent or minimal. The Amish (who do not carry commercial health insurance) cover medical expenses in various forms, often by contributions from the community, or through limited community-administered plans. At the same time, John Hostetler points out that Amish may go to great lengths to achieve relief for physical ailments, and the issue of the health of others in the community is often of great concern (Amish Society, Hostetler pp322-5). It is not uncommon for Amish to travel great distances in seeking medical treatment, to out-of-state clinics or even to Mexico. However, Amish may see costly life-prolonging care as excessive and unjustified in terminal cases, and often opt to let a life expire with dignity. Amish generally appreciate doctors whom they can trust and who show an understanding of Amish culture and belief. Hurst and McConnell report that medical practitioners who deal with Amish report that they are generally good patients, though a knowledge of Amish ways, and particularly the Pennsylvania German language, can help in the doctor-patient relationship. Doctors with an Amish background may be particularly valued by Amish. Doctors may make home visits in Amish communities, as in the case of the well known doctor Elton Lehman, described in the book House Calls and Hitching Posts. Lehman gained the trust of his patients and served the Amish community in Wayne and Holmes counties for over three decades, delivering babies and caring for injured and sick Amish people. Other facilities catering to an Amish clientele have made accommodations accordingly. The Amish House of Pomerene Hospital in Millersburg provides a Plain environment for Amish visitors. In addition to doctors, Amish frequently make use of chiropractors for “readjustments” and to deal with other back and joint ailments. John Hostetler surmises that this openness to chiropractors may be “possibly because chiropractors spend more time talking with their patients and also provide more body contact” (Amish Society, Hostetler, p325). Clinics catering to Amish and Plain people have also been set up in some communities. The most well-known is the Clinic for Special Children in Strasburg, PA, which treats rare genetic diseases seen mainly in Amish and Mennonite communities. Amish have worked together with medical professionals on a wide scale, particularly in genetic studies. Amish are seen as a near-ideal community for such research, due to the relatively closed nature of Amish society as well as the substantial genealogical records kept by Amish. Amish generally cooperate with health initiatives that can be seen as beneficial to others within their own community, or outside of it. Generally, Amish immunize their children, particularly members of more progressive orders, though at rates lower than the non-Amish public (Paradox, Hurst and McConnell, p228). However, a significant percentage abstain for various reasons, including distrust over the safety of vaccinations, associations with autism, and on religious grounds. Amish have occasionally run into legal issues with the state, both for their reluctance to allow certain treatments they see as unnecessary or harmful, and for instances of Amish illegally administering medical treatment. Amish often favor non-clinical approaches to health care and medical treatment. Many Amish prefer natural herbs and medicines to artificial treatments. Dietary supplements are popular among Amish, and these as well as other treatments may be advertised in Amish publications such as the Budget, and sold directly by the Amish themselves. Some Amish even operate herbal medicine stores, as is the case in a few settlements in Indiana, for example. Others may deal in dietary supplements in order to make side income (through multi-level marketing, for example). Amish may feel more comfortable with remedies that come from nature or those that are traditional and long used and approved of by parents and predecessors. While no Amish are certified as medical doctors (due to a cultural limitation on formal education), a few Amish do medical treatments themselves, such as chiropractic or podiatric treatment. In many cases, Amish prefer to give birth at home. This is done from a cost standpoint, as a home birth with a midwife, or sometimes a doctor in attendance costs much less than hospital care. Also, Amish appreciate the at-home setting as opposed to the clinical and foreign nature of the hospital. A first birth is more likely to take place in hospital, with subsequent births having a greater chance of occurring in a non-hospital setting. Birthing centers have been constructed in some Amish communities. Amish use of natural methods is based in a reliance on traditional practice and belief, some of which can come across as rather unscientific. For example, Karen Johnson-Weiner details the practice of “pain-pulling” found in some conservative Amish communities, which relies on the physical contact of healthy individuals to extract the pain from an afflicted person (New York Amish, Johnson-Weiner, pp 69-70). Others may rely on folk practices such as powwowing or sympathy curing, or traditional remedies, such as teas and tonics, soaking wounds in kerosene, or the wearing of copper rings to treat arthritis. Traditional methods of healing are more frequently seen in conservative Amish communities. Amish use the services of doctors in differing ways. More progressive Amish are more likely to make use of medical services, while more conservative Amish are likely to rely on traditional methods, for various reasons, including cost, a distrust of clinical methods, and stronger belief in traditional treatments. Factors such as cost, an understanding of reasons for treatment, the attitude and approach of the physician, and previous effectiveness of traditional treatments can all influence the decision of Amish to seek professional medical help. The likelihood of an Amish individual visiting a doctor can also be influenced by the particular affiliation and community he or she belongs to. Amish Online Encyclopedia: Where are Amish babies born? 58 responses to Do Amish visit doctors? I was curious if the Amish accept the field of Physical Therapy and ever see a PT? As a student in the Physical Therapy Assistant Program, I, as a PTA, would be doing most of the hands-on treatments. If they (Amish) do attend Physical Therapy, (or accept house-calls) what do I need to know as far as verbal and non-verbals (or touch, etc..)to make the appointmet as respectable and caring as possible? Thank you for any information you can provide! The Amish do visit PT’s when necessary. As you would know, treatment of any patient would be restricted according to your state practice act and would be under the supervision by a licensed PT. Do Amish undergo physical therapy? Not being familiar with the field I don’t know that I can advise on touch and verbals but I suppose that as a baseline showing the same level of respect and decorum you would anyone else would be appropriate in this case too? But of course someone with experience working with Amish is going to be able to advise you better, have you maybe contacted any providers in Amish areas? Sure thing Robin, sorry I wasn’t of more help! I am a nursing student and am writing a paper reguarding how to gain a patients trust when from another ethnicity. How do you greet the Amish. Do they like direct contact, eye contact, etc. Thanks! To Robin, Traci and Erik: May I chime in? You meet and greet the Amish pretty much like anyone else. Smile, say “hello”, make eye contact, and try to exhibit a warm and humble attitude. If you approach an Amish person with an aire of self-importance, you may loose their trust. Show an attitude of arrogance and you will have lost already. You might try saying “Vee Gates?” (emphasis on Gates) for “How is it going?” I used to teach anatomy to physical therapy students in Kentucky! So very happy to learn from Henry Troyer’s comment that a medical practitioner may loose the trust of the Amish by approaching with an “aire of self-importance” or by showing an “attitude of arrogance”. That’s how I’ve felt regarding medical practitioners (since most of them act like this – was told once “people expect doctors to act like they are God because the doctors think that the public expects it if you’re a good doctor), so it delights me to see somebody stand up to them and let them know that their attitude is inappropriate and objectionable (especially with what they charge their patients). Maybe if enough people reacted to this overbearing attitude of doctors the way the Amish do, the doctors would put a quick stop to it. Just one more reason why I love and have such tremendous respect for the Amish. I read alot of Amish type novels by authors like Wanda Brunstetter, Beverly Lewis, and others and they r correct in the giving birth catagory. They are always born at home with a midwife or one of the elderly women in their community. My husband and I would love to visit the Amish community for a weekend. Is there a way we could stay with a family near Kansas City Missouri? Do the Amish allow visitors of their community? Do Amish families go to the dentist? What are their beliefs on oral/dental health? Could they be contacted for free dental care? If so, how would someone go about it? Thanks for the link. It was very interesting to read. I live in central Wisconsin and we have Amish communities close by. I currently work for a Pediatric dental practice as their mobile dental coordinator and would like to reach out to the Amish for dental work. Just don’t know how to do that without offending them. Any suggestions? Hi Deb, it is hard to say; I don’t know if I can be of much help here online. I always tell people it is a good idea just to get to know some folks and try to assess things that way. I don’t think you would necessarily offend anyone by asking someone in an offhand way especially if you had gotten to know them a bit first. Sounds good. I wiil present this to my employers and see what they think. Thanks! Deb, here in my area of Ohio, many Amish do go to the dentist with their children (as with anything, the concern about dental health varies by family). The busy dental practice I go to has probably more than half of their patients as Amish. The more conservative Amish here are less likely to see a “real” dentist than others. I don’t know how the Amish schools are set up where you are at, but there are a number of schools here which are public but which have mostly Amish students. The schools have a dental program which is sponsored by the county in which a mobile lab is set up and children’s teeth are checked, sometimes cavities and other problems are addressed. The local hospital which is heavily Amish-oriented also occasionally promotes a similar program which focuses on Amish or other parochial schools. Perhaps you could start along those lines? Kerry- Thanks for all the good information. I think I’m going to start by contacting that county’s health department and see if they have any information regarding their Amish population and how they’re handling the medical/dental needs. Hopefully they can give me some answers. I do not think a holistic “physician ” would be something that would be needed by Amish people. What they want is an MD go there once or twice and get it over with. With those Holistic healers they have people attending their meetings, buying their herbs and homemade foods. No. and i know that you know it is not the right thing to do to these trusting people leave them alone and let them do as they have always done. Reply to Aaran concerning visiting an Amish community. There are several Amish communities within about 100+ miles of KCMO that I think would be appropriate to try to visit. There are a few I would not suggest visiting. If you are interested, I will give you the names of the communities. One way to make contact is to drive through an Amish community and stop to buy anything they might be selling along the road, like produce during the summer. Several Amish communities have produce auctions during the summer, and that would be a good way to mingle with the Amish. There is also a small community of Old Order Mennonites some distance south of KCMO who might be very interesting to get to know. They are very similar to the Amish in many ways, but are easier to relate to than the Old Order Amish. Interested Aaran? mind your own business &amp; they will mind their own business. What I do not understand is this: why do you want to visit people you do not know? You seem to be only curious as to the way they live and you would ask too may questions knowing they would not be able to call police to get you out of their home. Let the Amish be with the Amish. They are not on display for people to look at or to take pictures of. Every person who lives in the Amish home has a daily job to do and each contributes to the workload to lighten for the older ones or the ones in school .. They are very busy which is why they just get a basic education and then learn all the work that goes on in the farm. women learn sewing, making everything the family uses all by hand. i do not think you will expect a family of Amish to sit down with you and answer all your inquiries as if they are on trial. I wouldn’t like that either. I'm fasinated with the notion of Amish and health care. I believe the medical industry and health care standards would be different if it were not so worldly and ruled by economics. I have discovered that our modern health care industry is more about creating and practicing medicine than the study of human immunity and healing. The natural industry of medicine is no more effective at actual healing. I wonder how open the Amish would be to real natural science that actually leads to actual healing and cures which requires no medicine or products? I find that mainstream society is not very receptive to actual cures that cut out medicine or hinder the industry of medicine. My research shows that man has the capacity for complete immunity just as the bible suggest but my research also shows that mainstream society is not receptive to something so destructive to the economy. Also there is the problem of over population with using natural science to prevent or cure diseases believed to be incurable by mainstream society. My fascination comes from wondering if the Amish would be more open minded to actual science that leads to immunity? A science that can severely damage mainstream science and medicine? I think the Amish will be open to any real natural science that increases immunity. After all they go to a Holistic Cancer Clinic which is about 30 miles from San Diego for holistic cancer treatment were boosting thier immune system is part of the treatment. Does anyonw out there know the name location, phone numbers of this holistic Cancer Clinic? Sorry to disagree with everyone. But I am a midwife serving English, Amish and Mennonite families in Pennsylvania, Ohio, New York and Michigan. for the past 11 years. Amish are just like everyone else some are afraid to stay home and some like to have their babies in the hospital. Many at least in the communities do choose home maybe 60% as apposed to 20% Englishers. Some people may have the erroneous idea that Amish choose a midwife because they want a woman to attend them in Birth. The reality is the same as it is for the Englisher, as they call us, some feel safer at home and some choose home birth or a birth center because it is cheaper. They shop around which ever Midwife is the cheapest regardless or education or experience. At least that is what my experience is. I have seen whole communities that use the hospital for their births. They do appreciate a natural approach to health care. Amish are no closer to God than you or I. It saddened me to see the Amish are no wiser or closer to God than anyone else. Technology is destroying mankind through destroying the evolution of mankind and the Amish are not taking advantage of God’s promises and gifts anymore than capitalist do. It saddens me. Humans are the most superior life form on earth yet we have devolved to be the most inferior and fragile species when it comes to health. We have been taught to use science to emancipate ourselves from HOW GOD has created us. And I use the word “science” very loosely. It’s called “science” when it is someone’s best hypothesis but if it is true it is simply called the “truth”. Science is at best a guess not a reality or truth and because man has come to rely on such false reality man is paying a dear price. Whether you believe in God or not, man has the complete capacity to be immune and disease free just as the bible says. It could be just a coincidence but the fact remains. We as superior beings are intended to be in control of our immunity, the problem is there is no profit or patents in human immunity. In all my years of research I have never found a society that would put health or even God before profit and that is why humans are devolving at a rate that will surely end humanity as we know it. Hi! interesting article. I am interested in knowing what the Amish think about believe about mental health and counseling. I am in my masters program for mental health counseling and I am researching Amish beliefs and I am having trouble finding information. Thanks! I have the same question as Jennifer above regarding mental health and whether or not Amish couples and families go to marriage/family counseling or if they use their community members for mental health issues. I am currently working with an Amish couple on marital issues and there is not anything that I can find on Amish and Mental Health/Counseling. I am using traditional couples counseling, with Christian emphasis, but just curious how Amish communities address mental health, marriage and family problems. I saw that one therapist helps teenage Amish children during Rumspringer, but nothing for adults. Have read the Amish commonly use natural treatments for cancer at clinics located in CA and elsewhere. Can anyone confirm this and provide the clinics contact details. Thanks. Many Amish will go to Mexico for treatment of cancers that are either refractive to the chemotherapeutic agents they have received in the U.S., or for “alternative” treatments. It is not difficult to find plenty of information about it by searching Google. You can call one clinic and they can direct you to another, more appropriate one. Mexican clinics usually tout pretty good numbers, considering that the majority of U.S. patients are extremely sick before trying them. Jorge, as far as I can tell the Amish are no more in tune with their bodies or disease than the average American. Cures for cancer relies on awareness, not clinics of natural medicine or western medicine. Your immune system is designed to cure any disease or keep you disease free. The trouble is, man relies lies, beliefs, opinions and hypotheses instead of truths and facts. I came to this forum to investigate whether or not the Amish have an inside track to the immune system as I do but was disappointed to learn that they too are equally ignorant of how the good Lord created them. I founded the very unpopular True Cures Foundation and you would be seriously surprised to know that cures will never be popular. Cures destroy the whole industry of medicine and that includes natural medicine. Natural medicine relies solely on placebo and rightly so, sugar pills have cured more diseases than any other pill and I took it upon myself to study why and I learned how to reproduce the effect with complete consistency but the problem is, people are too brainwashed to respect a cure that does not employ some form of gimmick medicine. People have been raised and molded to completely discount their God given ability to heal. Shame on us all. I’m doing everything I can to change the world but the mainstream media is not willing to let the cat out of the bag. It’s up to you to become aware of what is truth and what is hearsay. An Amish friend of recently spent time at a well respected hospital in Washington DC for a kidney problem. He is doing much better and he has returned to work. My question is, do the Amish have health insurance? Glad to hear your friend is better Mike. The standard among Amish is not to carry any commercial form of health insurance. Amish traditionally rely on communal support when medical needs arise. 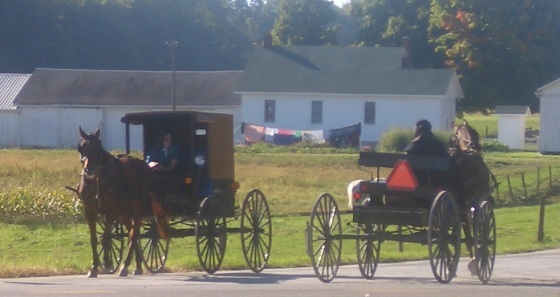 This can be via a more formal community program organized and administered by Amish as seen in the large communities, or take a more informal “pass-the-hat” form in the more traditional communities. Hello, my sister has gone through a rough time with chemo and radiation only to find out it spread to stage IV. I understand that the Amish to Mexican Clinics for cancer treatments but I booked 2 alternative clinics and they both turned out to be a scam. Can some give me a real name of an affordable clinic that does alternative treatment for lung cancer? All Mexico “cancer” treatment centers are based on either the same drugs used in the US or placebo. Placebo is powerful and to dismiss placebo is usually to dismiss your only chance at a cure because PLACEBO just means the body kicked in and did what it is suppose to do. Every living person is designed to be disease free. However, because no one truly cares about the science behind PLACEBO, most clinics throughout the world, not just Mexico WING IT so you roll the dice when you use ANY clinic. My suggestion to anyone wanting to be cured of any disease is to learn about their immune system but do not think for a second you will learn about immune systems or immunity through researching commercial science or mainstream educational methods. Society prefers you all be ignorant of your immune capacity so anything you read online or through higher learning or education is going to be misleading. If you want to be immune, you have no choice but to start thinking from scratch. I was doing random searches on the Internet the other day & stumbled across a home maker’s magazine that looked like it was Amish in origin. I did not note where the website was and now I cannot find it. Do you know of something like this? I’d like to subscribe to it if possible. Thanks, Linda, but it doesn’t look like nay of these are what I saw. The one I’m thinking of looked more ‘Amish-y’. If that makes sense. More old school ways of cooking and home making without electricity, etc. contains anti-bacterial properties, which helps to stop growth of bacteria in our mouth. what? one of your roomates was amish? please stop with the fairy tales. What are Amish practices for hypertension? I wonder how many of the Amish have visited Soloman Wickey? I stumbled on this story and wondered if anyone here has had any experience with this gentleman. Pro or Con. Accused of practicing medicine without a license, the long-time faith healer relied on God and some herbs. Faith healer Solomon Wickey dies at 75 | The Journal Gazette. For more than three decades Solomon Wickey sat his ailing clients down, gazed into their eyes or maybe touched them to gauge their health. Faith, he maintained, was the cure. A member of the Old Order Amish with no medical degree to back him, Wickey attracted a worldwide following out of his rural DeKalb County clinic. He said he sometimes saw 200 people a day. The longtime faith healer died early Monday afternoon. The DeKalb County Health Department confirmed his death but could not provide details. He was 75, according to his obituary. Unless Solomon Wickey died of an accident, 75 is pretty young for a healthy disease free person to die. He clearly was completely wrong about God healing through faith, that is not how healing works. God created man with an immune system designed to keep man healthy, happy and disease free but no one is vested or interested in how the immune system keeps some people disease free but not others, at least no one but myself. David. Interesting Facebook page. I’d like to ask what your opinion is about vaccinations? Do you think they help or harm the immune system. Thanks. Proving whether vaccinations are good or bad is very difficult. There really is no way to prove they work or that they are harmful. This largely due to the fact that humans are now the most fragile species on the planet. I’m 45 years old and disease free as well as immune to disease because my immune system functions as it should. The problem today is no one is promoting the human immune system or improving the health of our species which is why it is extremely difficult to find a child today that does not already have an existing medical condition where when I was a child it was rare to find a child with a medical condition. I do not vaccinate my dogs and if I had children I wouldn’t vaccinate them but I know what it takes to develop and or maintain proper immunity in the first place. Feed dogs raw meat and bones only and they will be immune to disease provided the dog isn’t diseased when you get it. Sometimes raw meat and bones can boost a dogs immunity enough for them to cure a disease but not always. Healthy humans will not have any problems with vaccines and unhealthy people aren’t going to enjoy any noticeable benefits. The problem today is there is no science regarding the potential of the human immune system. Science today has no intentions of improving health. Natural medicine has now become nothing but commercial sales and gimmicks. The art of healing has been lost. We have been taught to forsake our own design in order to be good consumers. David, would you mind giving me your opinion about this medical study? Thanks! Author information-Tomljenovic L1, Shaw CA. Lisa, it’s impossible to say what aluminum does when it is injected into the body. Scientist are simply not trained properly to do any valid study. For any scientist to truly do scientific accurate work they would have to dismiss their entire education because the platform for their education is the same platform that ensures CONSTANT failure in cures, preventions and healing. The only exception is trauma medicine and livestock medicine, the rest is designed to fail. There is NO logical reason to put aluminum in the body or colloidal silver for that matter but people are going to continue to do it. No one needs vaccines to be healthy. It’s probably a safe assumption to assume injected aluminum is not wise. However the true tragedy today is the fact that those children being vaccinated today are already lost before they get the vaccines. Most are born with already existing medical conditions. The “vaccine” debate along with the new “GMO” debate are truly interrupting wisdom and evolution more than the actual “vaccines” and “GMO” products. If man paid that kind of attention to their immune system we would end disease and no one would get vaccinated or even consider it. “GMO” food, no big deal at all for healthy immune people because our lymphatic system has power people are totally unaware of. No one will ever win the vaccine debate making it a waste of time. There is no logical or practical reason to be vaccinated for anything. I wouldn’t. I wouldn’t put stock in any “STUDY”. I would use WISDOM instead and wisdom says “look into one’s own immune system for answers” and don’t pump yourself full of products that have absolutely no evidence of working. Remember, today’s healthcare industry is failing in every way when it come to improving health, ESPECIALLY the natural industry. People are doing more “natural” gimmicks today than ever before with no consistent relief or improvement and it all cost money. I wish I could speak more to the study you asked about but their simply is nowhere to start a intelligent conversation which is why the debate will never end and why vaccines will forever be used despite lack of evidence of them being useful. I read an online article that the Amish have their own remedies for Tinnitus and Hearing Loss. Is there anything to this, or was the article a scam? How do the Amish deal with high blood pressure? In the May 31 edition of The Budget (Local Edition), I read an article about a the “National Amish Health Conference” which will be held in Loudonville, Ohio, June 7 – 9. It sounds very interesting. You can learn more about it at the following website: appalcare.org When you reach the website, choose “2017 Conference” and then at the bottom of that page, you can download the working agenda. Some of the speakers will be Dr. Randall Longenecker, Marcus Yoder, Jacob Beachy, David Kline and Corey Anderson. The topics sound very relevant and range from Healthcare Issues Facing the Amish and Plain Communities to Best Practices in Buggy Safety. It would be interesting to read a report on this conference here at Amish America. Just a quick question. How do the Amish people greet one another with verbal and non-verbal communication? Leave a reply to Do Amish visit doctors?